Welcome to GG Hospitals International patient service. Being the pioneering institution in Southern India with more than three decades of immaculate reputation behind us, we have a dedicated International Patient Service team who will ensure you a hassle-free orientation and make your travel and stay a memorable experience. GG follows stern compliance laid out by the Government of India for medical tourists. 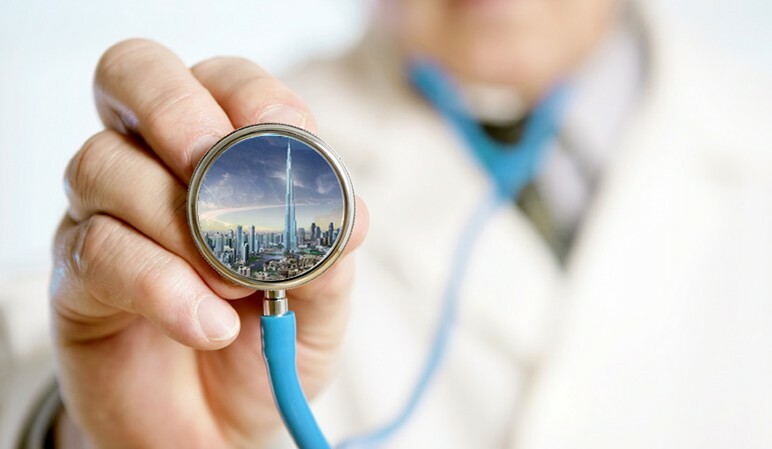 Hence, we will not discount any visa for International patients until and unless it is a valid medical visa. Listed below are procedures and pre-requisites you will need to pursue to ensure the entire process is transparent and devoid of any encumbers. The first step in initiating the process is by sending us your enquiry to info@gghospital.in. Once we evaluate your request, the following procedures will be deployed. All foreigners visiting India on Medical Visa are required to get registered with the Foreigners Regional Registration Office (FRRO) within 14 days of arrival. Life is all about unpredictable moments, wherein you require a visa extension due to unavoidable circumstances. We at GG will walk you through this process effortlessly. Medical report from recognized /specialized hospital/treatment centre specifying the period of treatment with patient details. If relevant investigations like complete blood counts, blood sugars, thyroid profile, kidney and liver function tests, complete virology workup (HIV, HBsAg, HCV) have been done in the last two months, if reports are passed two months we may repeat them. All viral serology tests may be repeated at the consultant discretion. Mammogram in the last one year will also be taken into consideration. Pap smear is to be done every year. The short protocol for IVF is performed during a shorter time frame. Although our primary target populations are poor responders, low ovarian reserve, and those who have failed previous cycles, we also offer it to those who have a shorter time frame to perform their IVF cycle. We check the day 2 values of the key ovarian hormones (FSH, LH, E2, Prolactin) and administer Recombinant or highly purified FSH injections along with other specialized growth factors that boost response. Sometimes we may combine with Gonadotropins as well. This is almost always an antagonist cycle when the suppression is given only when the follicles reach a size of 1.3×1.3 cm. The rest of the timing, oocyte retrieval, fertilization and culture techniques are same as the long protocol. It entails the patient to take oral contraceptive pills for a period of 21 days commencing from the 5th day of the period. On the 19th or 20th or 21st day a GnRH analogue injection (Zoladex) is administered subcutaneously from a prefilled syringe(fat layer of skin) below the umbilicus/navel either as a single dose of 3.6mg or at different sites like upper arm or thigh as a daily dosage (Inj. Gonapeptyl) using an insulin syringe. Once the contraceptive pills are stopped, periods will start within two or three days and the patient reports for scan and blood tests on the 2nd or 3rd day of her periods. This is when we will start the ovarian hyperstimulation injections in order to procure more number of eggs for us to work on. Now, the former regime can be followed by the patient in association with her own gynecologist in her home country and can report to us during her subsequent period for us to start the stimulation injections. We prefer to administer these shots because it gives us more consistency and is also easier to monitor patients for signs and symptoms of excessive stimulation, which is called ovarian hyperstimulation syndrome. So the trip can be planned in such a way that you still gain a month before you arrive here for the actual treatment by taking the pills and the shot and reporting here just for the Hormonal injections and further procedures. Usually, the injections are given for a duration of 12-15 days, starting from the 2nd/ 3rd / 4th of the periods, with a combination of recombinant or urinary or highly purified FSH with gonadotropins added as per protocol. The growing ovarian follicles are monitored by regular ultrasounds performed on an alternative. When they reach an optimum size, we will time for oocyte retrieval. The preparation process for the procedure will be explained in detail during the consultation. The retrieval is done almost always under general anesthesia and in special cases with mild sedation. Hence we will do relevant investigations prior to this procedure. Once retrieval, fertilization, and transfers are done, we generally would like the patient to stay until blood tests for pregnancy and until the first trimester is complete; but if there is a need to fly back to the home country we will assist you in that too. Post Embryo or Blastocyst transfers progesterone support is initiated until the blood test. If positive for pregnancy this progesterone and other supportive medication are continued according to our instructions. Upon your email enquiry, an appointment date will be allotted for which you are requested to report with your spouse at the hospital along with your previous medical reports. After this initial consultation, we will be able to decide the line of treatment and plan any surgeries or procedure or treatment protocols. You will be seen by either Dr.Kamala Selvaraj or Dr.Priya Selvaraj. Overseas patients can avail the same protocols that we use for a standard ART program like the long protocol or the short protocol, with an agonist or an antagonist. 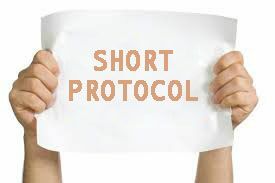 The total duration of one cycle with the long protocol is about 6-8 weeks while the short protocol is about 3-4 weeks. It is always better to avail medical visa for minimum 6months – 1year in order to complete any surgical procedure or ART treatment cycles. One can travel back and forth in that period upon consultant discretion.